You can create and delete alarms you have created on your Samsung Gear S2. The screens and steps shown below may vary by wireless service provider and your mobile device. 1 From the Watch screen, press the Home key. 2 Touch the Alarm icon. 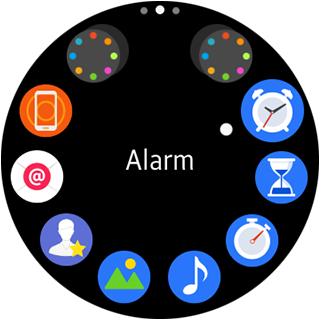 3 Touch Add alarm to create an alarm. 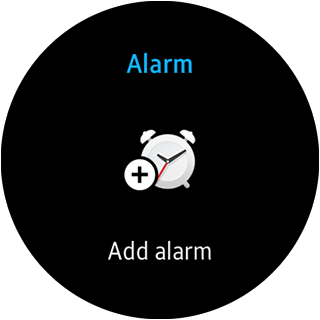 If you already have an alarm set, touch ADD to create another alarm. 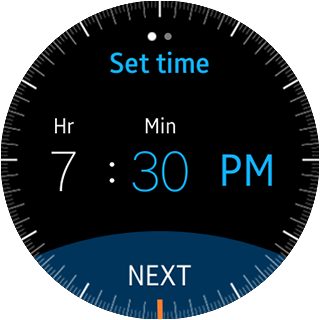 4 Rotate the bezel to change the hour. 5 Touch the minutes to adjust them. 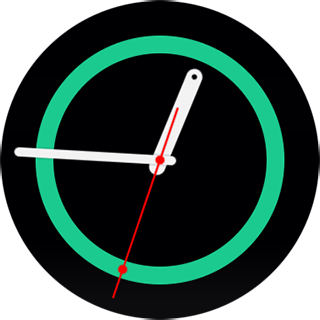 6 Rotate the bezel to change the minutes. 7 Touch AM or PM to switch between them. Touch NEXT to continue. 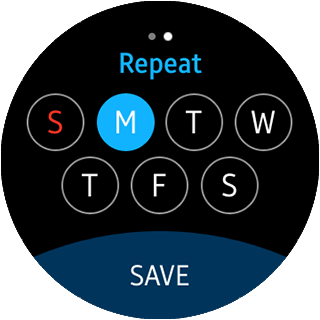 8 Touch which days you want the alarm to occur. Touch SAVE. To add additional Alarms, repeat steps 3 to 8. 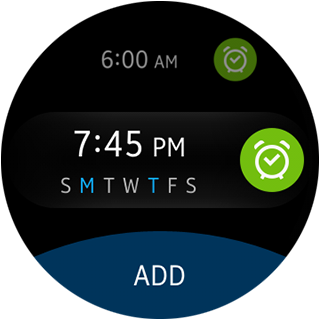 9 To turn off an alarm, touch and drag the Stop icon (X) to the right. 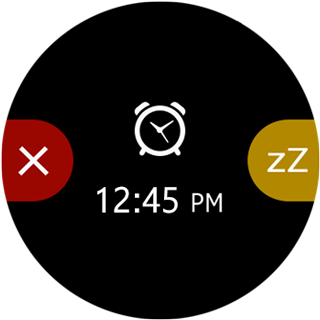 10 To snooze an alarm, touch and drag the Snooze icon (zZ) to the left. 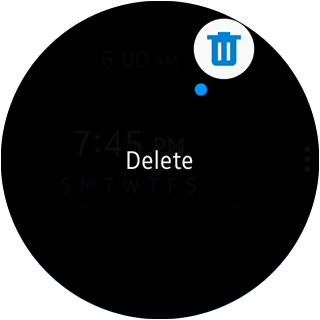 3 Scroll to the alarm you want to delete, and touch and hold it. You can also edit an alarm by touching the alarm and adjusting the time and date. 4 Touch the Delete icon.